Search Engine Marketing or SEM is a way of advertising that is very different from traditional advertising such as print, TV and Radio. Prior to the SEM channel being available a business would place an advertisement on a traditional advertising channel that would be considered best suitable for that businesses demographic. So, a business selling locally in Miami would probably place advertisements in local publications, radio or TV in the Miami market. The business may even place billboards or other outdoor advertising across the city. These advertising channels are quite expensive and can demand large budges. Not only can budgeting be an issue as most small to medium businesses operate on shoe string budgets but the businesses are also then tasked with trying to determine if the efforts were successful as there is really no solid way to measure the success of traditional advertising channels. So how can businesses ensure that they are seeing a solid return on investment for their advertising dollars or ROI as it is known? By utilizing Necessity Marketing for your search engine marketing and pay per click management needs. How can Search Engine Marketing Benefit Your Business? Search Engine Marketing provides an affordable and measurable alternative to the aforementioned traditional advertising channels. It is a form of internet marketing that includes paid ad placements and contextual advertising to drive website traffic. Ultimately the goal is to get someone to come to your website or to your retail location and make a purchase. Unlike traditional advertising, it works the other way round. So in this case your advertising gets placed in front of your potential customers when they search for your products or services in Miami on a search engine. Its true Marketing can really be that easy! So, whether your business is small, medium, large or even a home run business you can advertise on search engines locally or nationally utilizing SEM strategies. Since location based advertising through search engine marketing is possible, a Florida based business for example could target it’s advertising for the entire state or drill down and target specific cities or even zip codes within the state. Google offers an incredible online advertising service called AdWords. There are different payment models available such as: pay per click (PPC), cost per thousand (CPM), cost per action(CPA), and cost per lead(CPL). With the flexibility of these models it is possible to develop a strategy to reach your businesses goals and ensure a solid ROI for your advertising dollars. PPC is one of the best models for search engine marketing as companies only pay for the clicks that they receive on their search engine ads for targeted keywords. AdWords not only offers flexible advertising models but also allows for the specific targeting of keywords and specific geographical areas that are important to your business. This combination ensures that your business will be visible to new customers at the precise time they are searching for your products or services. Necessity Marketing is one of the best search engine marketing management companies based in Miami. Search Engine Marketing Services can cover a range of services including Google Ad words Management, as well as banner placements through advertising verticals, ad exchanges, and affiliate marketing programs. 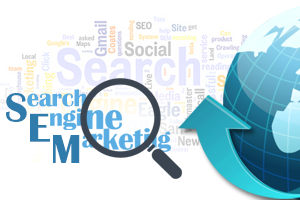 We develop specific strategies for search engine marketing that best suites each individual businesses needs. We monitor results through reporting and adapt strategies as needed. We currently offer pay per click management services at the local, state and national levels for small, medium and large businesses. We execute search engine marketing services for our clients to ensure goals are met and to provide the best possible return on investment (ROI) for their ad spend. We look forward to hearing from you and discussing how we can utilize search engine marketing and our pay per click management services to grow your business. Contact us now for a no obligation consultation and analysis. "We are an online reptile store located in Miami, FL. We worked with Necessity Marketing from the beginning of our online endeavor as the company was recommended by a fellow business owner who had a good experience utilizing them. We built our site and launched our eCommerce store with Necessity Marketing from the very beginning and couldn't be happier. We have utilized many of their services including: Adwords & Bing advertising, social media advertising and management as well as content creation and distribution. We also utilized their SEO services and have seen steadily increasing revenue from it as we have achieved many first page and even top 3 and 5 rankings." “ Being a 100 year old wholesale business, our brand is well established and we have a solid customer base. That being said, we understand technology has changed the way people and businesses shop. “ Being a 100 year old wholesale business, our brand is well established and we have a solid customer base. That being said, we understand technology has changed the way people and businesses shop. Getting proactive with our business in the online space with Necessity Marketing designing and developing our website as well as handling our Internet marketing and social media marketing has allowed us to successfully tap a market segment that was previously nonexistent. ” Paul Schuman, Owner Schuman Feathers, Inc.
“We provide billing and transaction processing solutions for physician offices, health departments and pharmacies that administer vaccines. We utilized Necessity Marketing to redesign and redevelop our website and blog to make them more user friendly for our customers in the healthcare space and increase our goal completions. Content Marketing is a strategic form of marketing that is used by different types of businesses to grow and retain customer bases. The main purpose of content marketing is to engage customers by providing correct, relevant, valuable information about a business. In today’s flooded online market conditions, different forms of Internet marketing are used by businesses of all types to promote and market products and services. Technology has advanced and with more users than ever on the Internet it is essential for businesses of all sizes to have a well designed and developed website to be successful. The online channel is often one of the first mediums through which potential customers find products, services and information about businesses. Online marketing or Internet marketing is a technique through which businesses market and advertise their products and services using the Internet………..